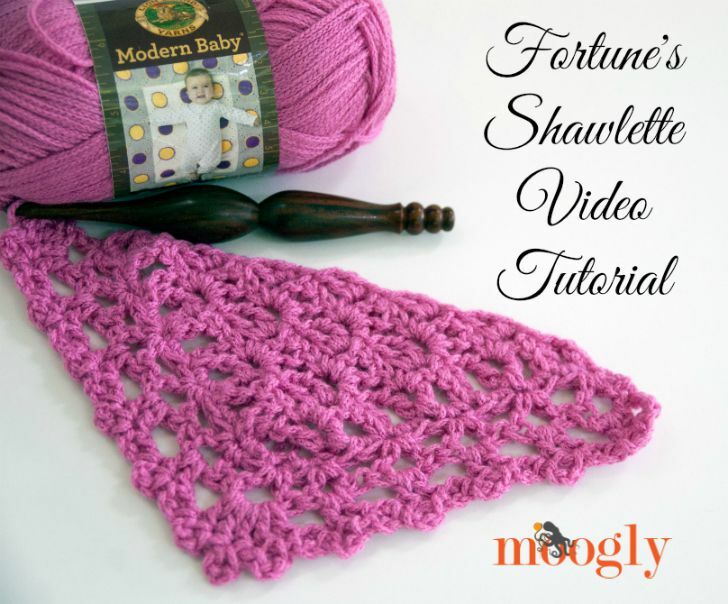 Fortune’s Shawlette has been made many times over since it’s release into the wide world, but it’s not the easiest pattern! So for those who need a little more help, here are the charts – and the right and left handed video tutorials! 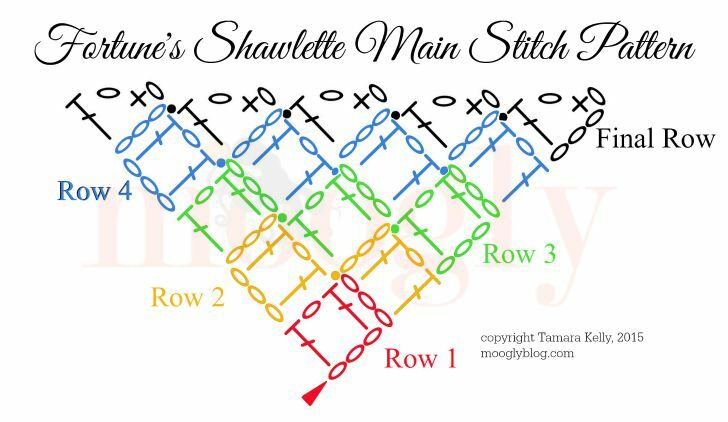 And here are the Fortune’s Shawlette charts! They are a much smaller version of the whole, but it gives the idea, I hope. If I’d made them full size, it would be too small to read! I hope these help! I’ve also re-written the edging rows to correct any errors and make them easier to read. Thank you to everyone who helped me perfect them! If you have any more questions, please don’t hesitate to ask! These charts look clear to me and they are very colorful 🙂 The colors remind me of the game Ludo (‘Mens erger je niet’ in Dutch) I played when I was a kid. Do you have a special computer program to make them? It looks so professional! 😀 Thank you Albertine! 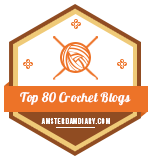 I used Stitchworks software to create the charts, and then Adobe Photoshop to color them. Please let me know when video comes out, I can’t do anything w/o a video instruction! I love this pattern! Thank you! There have been a lot of setbacks with this one for some reason, but it should be up very soon. Thank you for the charts…ever so helpful! I had difficulty with the written instructions, but took a detour to learn and practice the plain diagonal box stitch and now with the chart, the pattern should be a breeze. Again, thank you for the chart! The shawl ente is a lovely design. 😀 Thank you so much Ann! 🙂 I’m so glad to hear it Kelly! Can you tell me how much yarn is needed for this shawlette? Thank you so much for the video tutorials. This is a unique combination of stitches. I love it. Thank you so much for your excellent video, it really helped to clarify the pattern and chart. Thank you for all your hard work. I can’t wait to make this shawlette. 🙂 I’m so glad it helped Cathy! Thank you! Tamara, thanks so much for the pattern and the oh so simple instructions. The design is so pretty. Now just to figure out how to block it. omg, thank you so much. 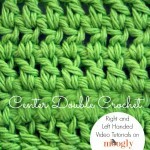 your videos are so clear, and this pattern looks amazing. i’m starting it tonight! what method did you use to block it? also, i’m a fairly new crocheter and haven’t done much color work, so it’s difficult for me to visualize this, but what do you think of using a 2nd color for the edging rows? Best video tutorial I have seen yet. Thank you. Thinking of trying this in light DK wool that I have…would this work? Thank you so much! Yes, I think that would work very well! Hi , It took me awhile before I got to do the rows, I followed your video till row 3 and I got stuck, till I watched over and over again. I almost gave up but I finally got it. I just figure it out that you have to turn the row so the chain 3 will facing me and do the slip stich, chain3 dc and so on. Without your video , I don’t think I can follow. Thanks. Gracias por compartir los gráficos del Fortune´s shawlette, me encantó es precioso. Tamara, thank you so much for the left handed version! I can’t wait to try it. I think you wrote the number of stitches for the edging on row 3 incorrectly. It says [(2 DC, 2 ch) in the next ch sp] 56 times but there are only 28 ch sp on the one side of the edging. The same thing for the other side of the edging-there is 28 ch sp but it is written to do it 56 times. did you mean 56 stitches, not spaces, total for each side of the edging before/after the center point of 5 stitches? Very pretty and easy pattern. I am using Patton Metallic in bronze which is very pretty and shiny yarn but I think I’d use something else if I do it again because the yarn snags easily and has ‘stretches’ of very thin yarn that you either have to cut out and deal with knots or just use and not have a ‘full-sized’ stitch . thanks for the pattern. OMG-you are correct! I set the pattern aside a few months ago until I was able to finish something else and didn’t look for ‘updates’. thanks-now I can finish it with the new updated version. I love this and the video puts it all together for me, as I am a visual earner. Can I download the video as I do not always get internet when at home in my village (UK) ?? ?blocking is alchemy!!? Thank you She! Unfortunately I don’t think youtube allows downloading, I’m not sure though! 🙂 I’m glad it helps Ann, thank you! Thank you very much for this easy pattern! At first I was afraid to try because I thought this is too hard to fallow, but once you get done those three rows, the pattern just copies in your head. It’s really beautiful. Thank you so much. I’m so glad you stuck with it! 😀 Thank you Zane! I love this pattern and I love all your work! Thanks for all the time and help you give everyone. I have started this with a skein of Red Heart Boutique Unforgettable, and the size before blocking is around 18″ X 35″. The 35″ across the top. I used a size K/10 1/2-6.50MM hook, a size larger than recommended. I have another full skein, but I was wondering what size do you think the blocking would end up being. I usually have loose tension, and I can’t see this blocking to any size that would be anywhere near what I wanted. I am trying to make a VERY full size shawl of this. HELP!! Thank you! 🙂 Blocking usually only gains a few inches, though this pattern is pretty stretchy. I’m not sure how much Unforgettable will expand, but for a very full shawl, you’ll want to keep going with that next skein I think. I’m sorry you had trouble with it Joyce, I’m glad you were able to figure it out though! Thank you so much for this turorial. its amazing that when you try without a visual it doesn’t look right and you know something is wrong. I love this pattern and the video sorted me out. Thanks so much. Thank you so much Lana! 🙂 I’m so glad it helped! 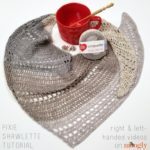 Hi, I love all your patterns…the videos are great BUT the charts are BRILL all colour co-ordinated.I have question can these shawls be made with yarn weight 2? 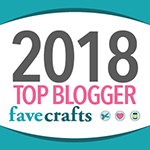 I am thinking especially Berry Harvest and or this one Fortunes Shawlette. I have a friend who would love one of these and I have some bright red Catania by Schachenmayr .Could I use this? Hello Maria! Thank you so much! 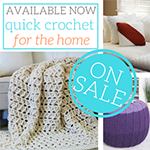 You can use any weight yarn you like – “2” will be nice and light! I made your fortune shawl and I love it. Made it for my granddaughter. I am having trouble with thte edging and was hoping you had a video for that. I have a hard time with the written instructions. I think you have the best diagrams I have seen. They are clear, LARGE!! – big plus, so often they are so small if you enlarge them they become blurry. The changing of colors per rows is awesome. I had no problem following the written pattern, but the edging I definitely benefited from the chart. Thank you for these. Thank you so much for publishing the charts for this pattern. I have dyslexia, so sometimes written patterns are insufficient for me to be able to follow patterns. This really helps me! 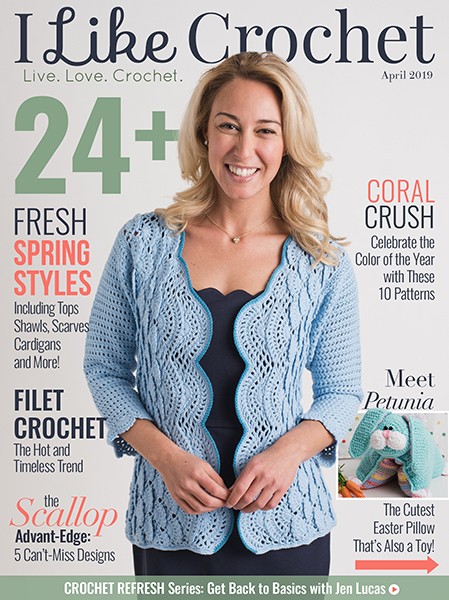 I truly appreciate designers, like yourself, who publish free patterns for those of us who love to crochet, but are on a tight budget. I gift most of what I make, so this really helps me to be generous. 😀 I’m so glad it helps Cyndi! Thank you! You got a new follower in me?? Thank you so much Nina!! I really appreciate it! Hi Judi! You do turn at the end of each row. 🙂 Thank you! Thank you for all the hard work you put into this pattern and then gave it out!! 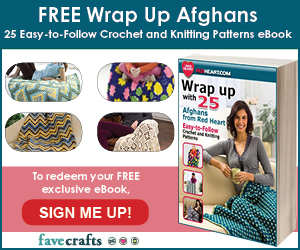 Video, chart, and written pattern for one beautiful shawl, you are awesome and generous! ? I like more of a semi-circular edge for my body shape. Is it possible to just start with row 3 and block it to a gentle rounder shape at the bottom to make it more semi-circular? I’d have to adjust the edging too but I think I could figure that out. Hi Sylvia! 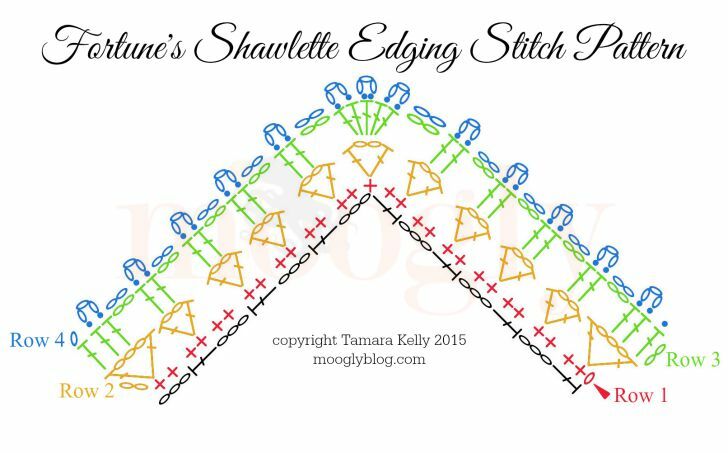 This stitch pattern creates a very definite pointy or sawtooth shape, but with some clever edging that could work! Love the pattern wondered if I could use for a wedding shawl in finger light wool? Or do you think it would need a heavier weight wool? Hi Jennifer! I think that would be lovely, I would just move down a couple hook sizes and be sure to block it really hard! You’ve done a wonderful job on making this viedo. The best one I’ve seen so far. Thank you for making it easier for us visual learners.. The shawl pattern is lovely. I watched your video and enjoyed it very much. I would like to do this project and give as Christmas gift. Please elaborate on how to do the “blocking”. Hi Marilou! I recommend soaking the shawl in water, and then rolling it gently in a towel. 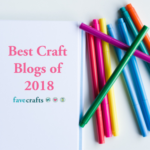 Then, lay it out on a blocking board or stretch of carpet – whatever you have – and pin it so that it’s at the finished measurements (52″ wide, 20″ deep, 33″ along each side). Let it dry, and you’re done! 🙂 This opens up the lace of the shawl and really changes the look from how it is right off the hook. Thank you for the video. Great work. As someone who hasn’t crocheted since childhood, I missed the point about always linking to the loop of 3 (which is way to the left of where you are and that the six at the end is also a loop of three. Once I realized that and started over, it looked beautiful.